A suburb of Rochester, NY and truly a city on the rise, Henrietta has grown in population every year since 1930 and now sits around the 43,000 mark. Part of its continued growth is the result of the Rochester Institute of Technology located within its borders. With the increasing popularity comes more and more fun things to do. One of Henrietta’s greatest treasures is the Tinker Nature Park. James and Rebecca Tinker originally purchased the land way back in 1812 after traveling from Connecticut to Henrietta with their six children in an ox cart. After arriving to the area, which was then called the town of Boyle, the Tinkers bought the 40 acres (16 hectares) of land, which would later become the Tinker Nature Park. The Tinker family occupied the area for six generations after. Open year round, this park has now grown to 68 acres (27.5 hectares) and is home to all kinds of wildlife that can be seen on its two miles of hiking trails and in the Hansen Nature Center. It also contains an amphitheater and its own museum. In addition, the new Fairy Houses are miniature wooden houses that have been hand-built by anonymous artists who then place the houses randomly throughout the park. Tinker Nature Park is the perfect place to take the children for some fresh air, get some good exercise, or for a romantic day with that special someone. Enjoy the clean and crisp taste of fresh produce? Gro-Moore Farms has its own greenhouse and farmland where you can buy locally grown fruits and veggies, along with flowers or vegetables that you can grow yourself. 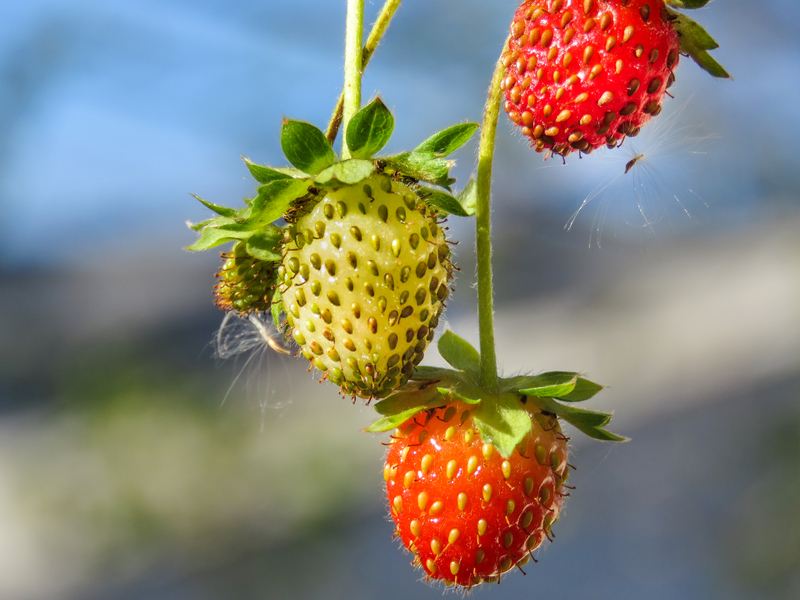 Beginning in mid-June, you can bring the whole family and pick freshly grown strawberries straight from the field at the perfect size, color and ripeness you prefer. The fall brings other festivities, such as a petting zoo, pumpkin slide, corn maze and wagon rides for the kids. Or stop into the gift shop for local honey, maple syrup and jam. Unsure where to have your child’s birthday party this year? Gro-Moore Farms even rents out a full-size barn for parties, and all activities and admission are included in the price. With more than a dozen fun things for the kids to do, you’ll be the coolest parents around. With all of this and so much more that Gro-Moore Farms has to offer, there’s no reason to look anywhere else. Great for canoeing, fishing, boating and swimming, the Erie Canal stretches from Albany to Buffalo, NY. Construction on the canal began in 1817 and finished in 1825 to provide a route from New York City/the Atlantic Ocean to get to the Great Lakes and to open the country west of the Appalachian Mountains to settlers. The Erie Canal also provided a cheap and safe way to deliver produce to areas that were, at the time, difficult or impossible to get to. In some spots, the canal is only 4 feet (1.2 meters) deep. In these areas, horses and/or mules would be used to tow the boats. It has since been enlarged and is now no less than 7 feet (2.1 meters) deep, which may not seem very deep but is still capable of handling boats that weigh upwards of 240 tons (529,000 pounds). The Erie Canal is currently 524 miles (843 km) long and contains 36 locks. So whether you’re a fan of boating and/or ships, or enjoy seeing important pieces of American history, the Erie Canal is a great place to spend an afternoon and take in this modern marvel. A staple in Henrietta, Lasertron provides fun and a great workout for the whole family. This is a great place to spend an entire day or you can sign up for a Golden Membership to enjoy two attractions every single day. Aside from the obvious laser tag, Lasertron also provides Cyber Sport (basically a combination of bumper cars, lacrosse, and basketball), a sports bar, an arcade and a café & dessert deli. Naturally, Lasertron also hosts parties and events of all sorts, including activities, food and drinks. So if it’s a Saturday afternoon and the kids are hyper or you’ve had too much coffee and need to burn off some of that energy, then look no further than Lasertron. New games whack-n-win and jetpack joyride are in!! Great for a family day, date night, or group parties, the Clubhouse Fun Center will have you wondering where the time went. You can start in the arcade where you can win tickets that can be exchanged for cool prizes or be used to play even more games. After the arcade, go outside and pick one of three different go-kart tracks; jr. karts, single fast karts, and two-seater karts. Finally, after the thrill of the go-karts, relax on the two different mini-golf courses with 18 holes each. So whether you’re looking for a thrill or a chill, Clubhouse Fun Center has it all. It’s no wonder why Henrietta, New York is growing so rapidly. It’s not just the Rochester Institute of Technology that brings people from all over the country, it’s also the beautiful scenery, historical landmarks, and fun activities. Whether you enjoy the great outdoors, being active, relaxing on a day off, or being competitive, you’ll find plenty to do here that will please everybody.